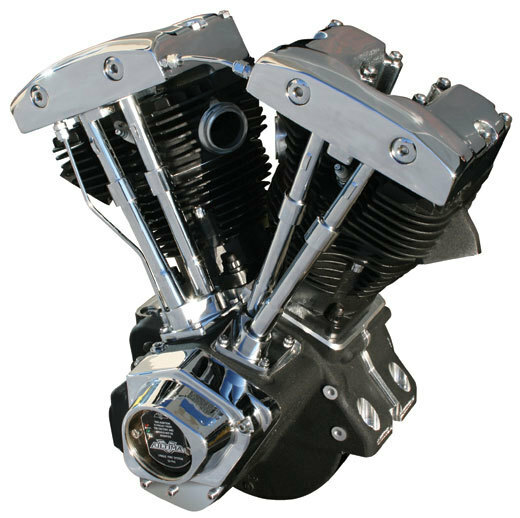 MIDWEST Motorcycle Supply has introduced a new version of its Ultima Shovelhead motor. The latest version of the engine features a black finish. The 96ci capacity motor has a 3.625in bore and 4.625in stroke. The compression ratio is 9.5:1 and it makes use of forged pistons and a five-piece forged flywheel.